The 900 RZR has never been snappier or more fun to drive! 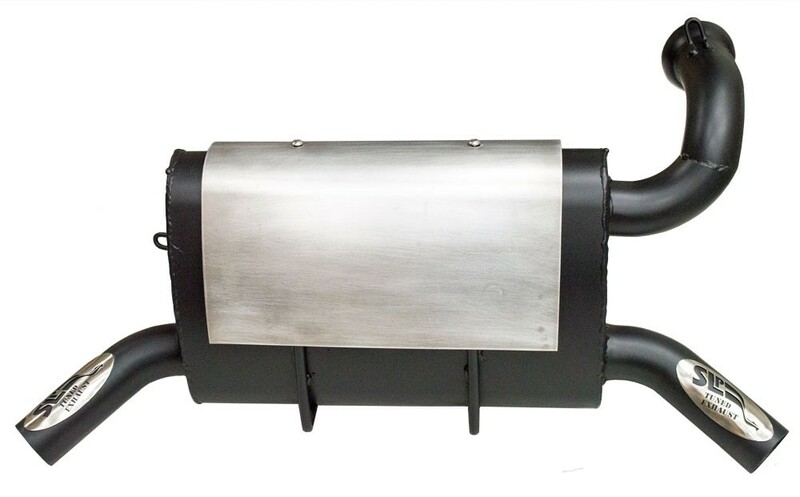 With 74% better exhaust flow than stock, this muffler provides much better top-end power as well as a more responsive bottom-end for your Trail, S, XC, or 4-seat RZR. It utilizes dual exhaust outlets for a unique performance exhaust note that sounds great and is still fairly quiet at 91 decibels (on the SAE J1287 sound test).